A house of charm and character comprising two superbly located holiday apartments with stunning panoramic views overlooking Whitby harbour, sea, cliffs and town. 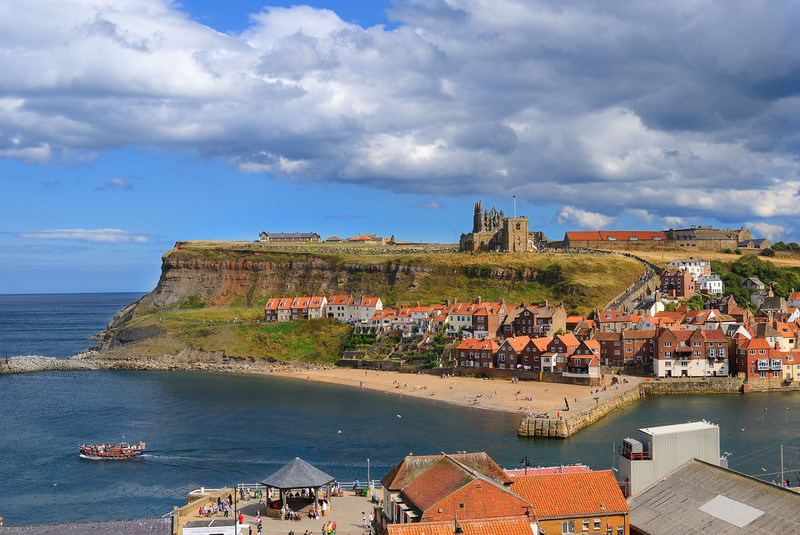 Whitby has recently been voted the best seaside resort in the UK by Holiday Which, It has "everything you could possibly want from a seaside resort". Spend some time at Cliff House and see why. 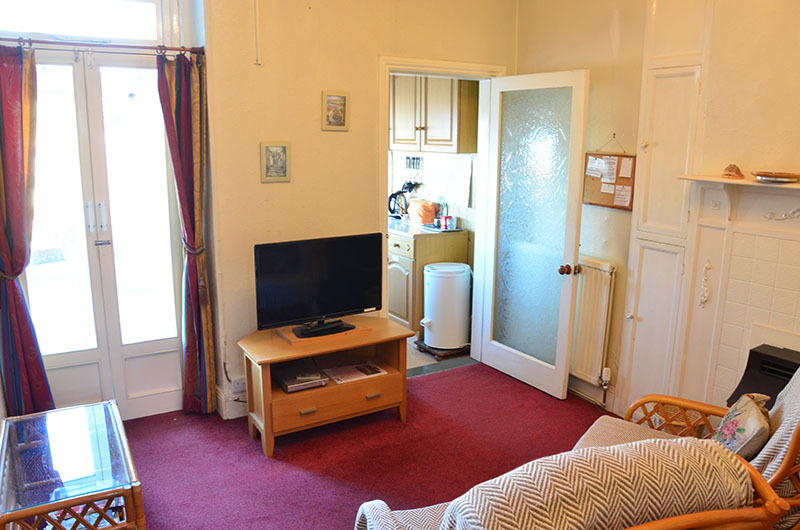 Available as two separate, homely, well equipped apartments, each one set up to accommodate two adults (non-smokers, no children or pets), with double glazing and heating. Shopping centre, harbour, sandy beaches, cliff walks, leisure facilities, all within a few hundred yards. Street parking permits included for any length of stay. A ground floor apartment with sitting room, kitchen, dining area, double bedroom, shower room and patio area. 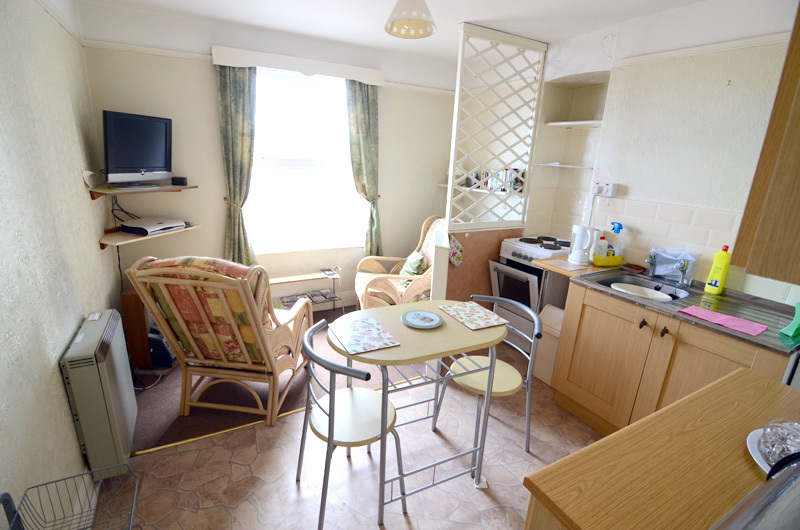 A self-contained first-floor apartment with living room & kitchenette, double bedroom and shower room. Read some of our wonderful guestbook reviews and comments. It's no wonder our guests come back year after year! Please note that Cliff Street is one-way so vehicular access is only via St Hilda's Terrace and Flowergate and not via Khyber Pass. Whether you approach Whitby on the A174 (from Scarborough) or the A169 (from York) or A171 (from Middlesbrough) aim for the roundabout at the top of Pannett Park and turn down St Hilda's Terrace before turning left off Flowergate. Please DO NOT send mail or make personal enquires to this address. See my contact details. from South: M1 / M18 to A64, then A169 from Malton / Pickering.